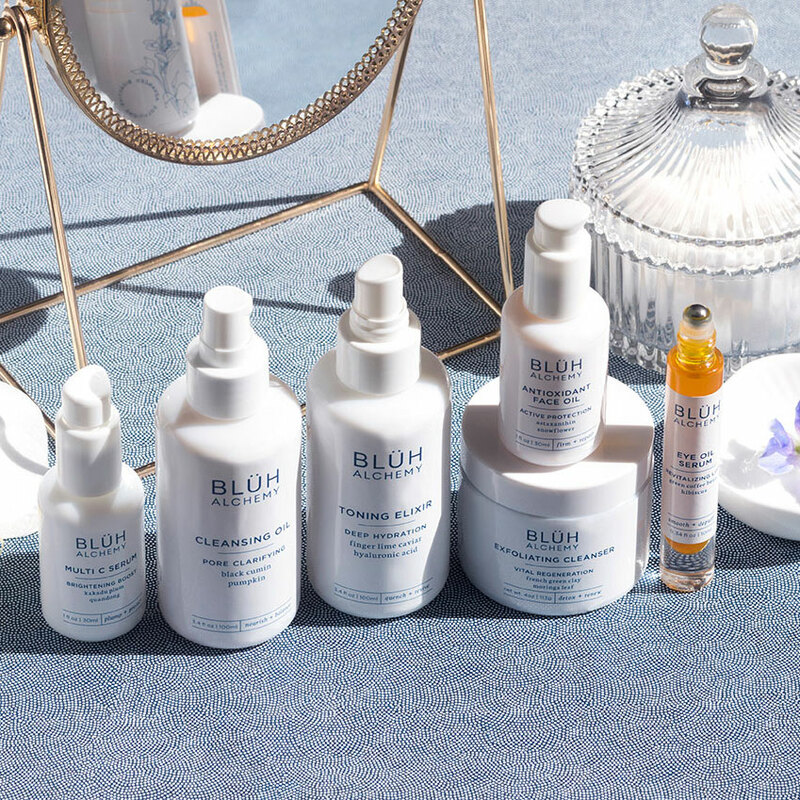 Blüh Alchemy Eye Oil Serum is exquisitely formulated to deliver a potent dose of active ingredients to give the area around the eyes a smoother and brighter appearance instantly. Kakadu plum is rich in vitamin C, boosting the look of bright, youthful skin. 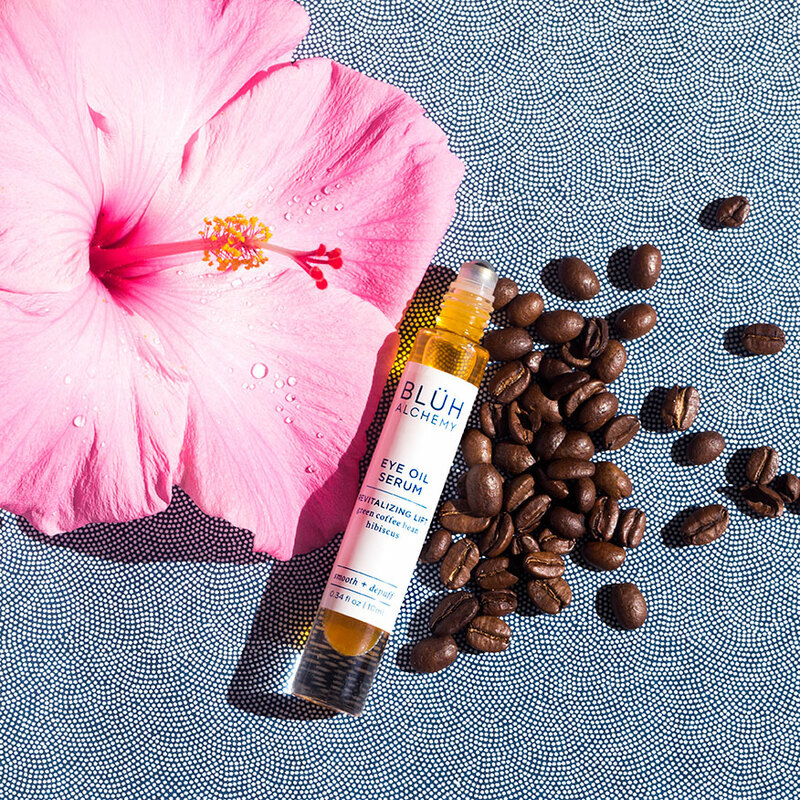 Green Tea and hibiscus improve the appearance of firmness, while green coffee bean visibly reduces dark circles and gives skin a tightened and toned look. Rosehip and raspberry seed oils lightly moisturize and reduce the appearance of lines and discoloration. The eye area is left looking rejuvenated and vibrant. 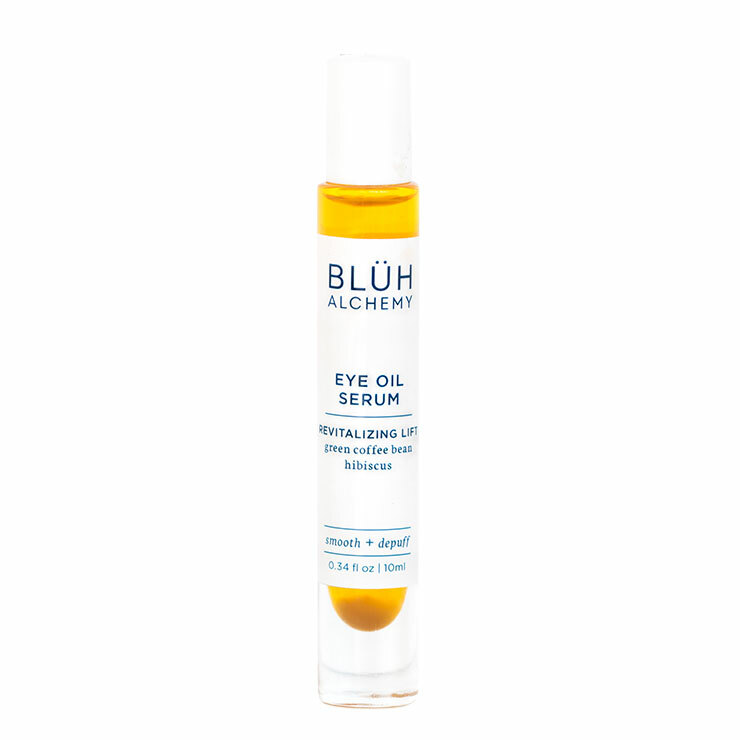 Roll serum over the eye area and gently tap into skin with ring finger to aid absorption. Perfect for use under makeup. Use both morning and night.